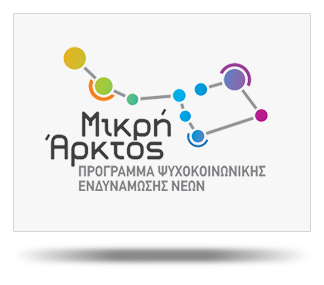 The aim of the Psychosocial Empowerment Program “Mikri Arktos” is personality development, social skills improvement, confidence boosting and personal empowerment that will enable individuals to deal with daily challenges successfully. Through psychoeducational groups and experiential workshops, young participants have the chance to discover and develop their personal skills, identify and overcome their weaknesses, discuss their concerns and search for solutions. The services are provided FREE OF CHARGE in Nicosia, Larnaca, Famagusta, Limassol and Paphos, upon contacting 97725204, 25443078 & 25443080, or sending an email at lpavlou@onek.rog.cy.